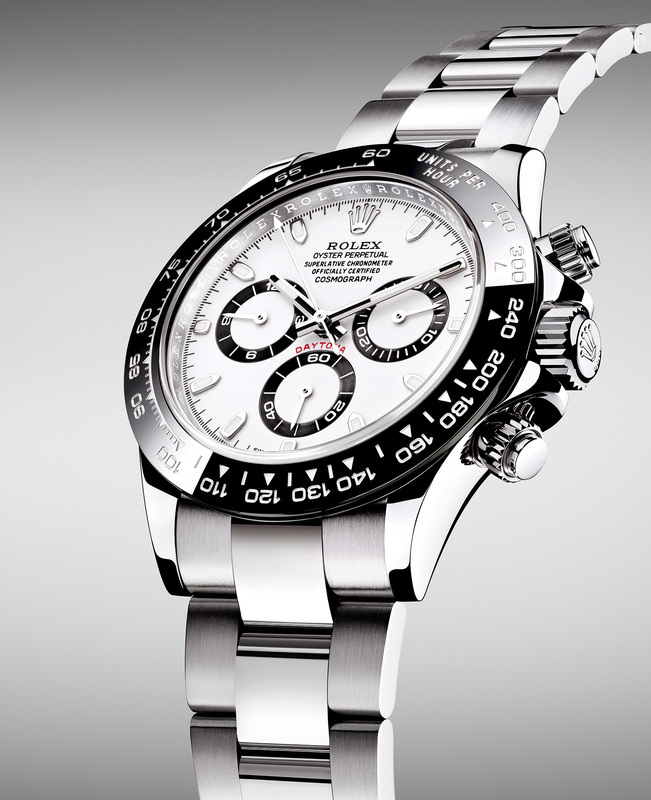 Perhaps one of the most desirable contemporary watches, the Rolex Cosmograph Daytona in stainless steel is now – finally – available with a black ceramic bezel as the ref. 116500LN. 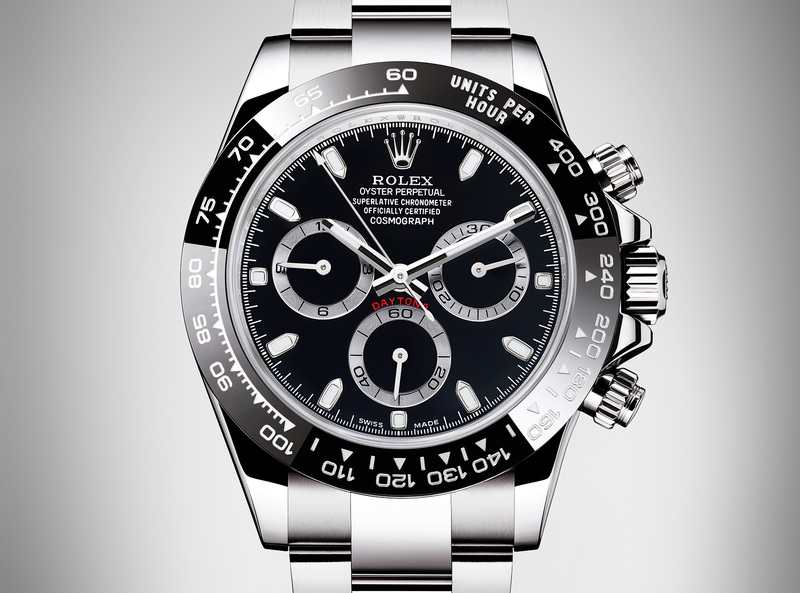 Previously found only on precious metal Daytonas, the bezel is made of glossy black Cerachrom (Rolex lingo for ceramic) that is fade-resistant, with engraved markings coated with platinum. And in contrast to the steel bezel found on the current model, the new ceramic bezel is scratch-resistant. 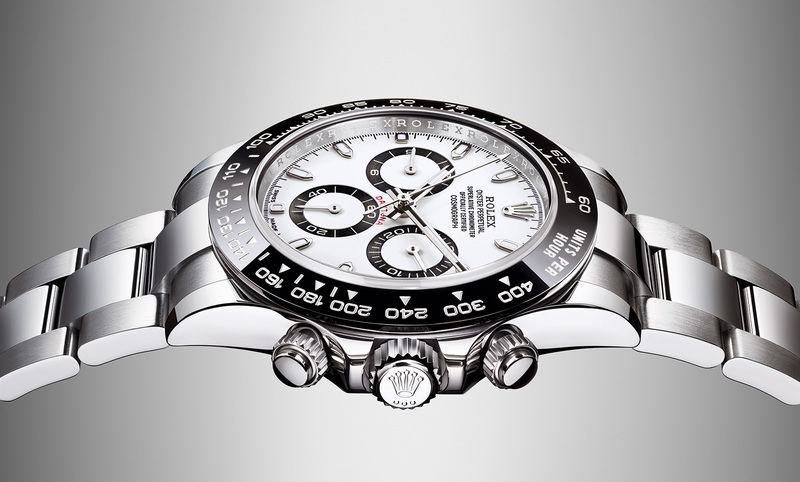 Bezel aside, the new Cosmograph Daytona shares many of the same feature as the current models. The steel case is 40 mm in diameter and fitted on an Oyster bracelet with the spring-loaded Oysterlock clasp as well as an Easylink extension to adjust the bracelet length by 5 mm. 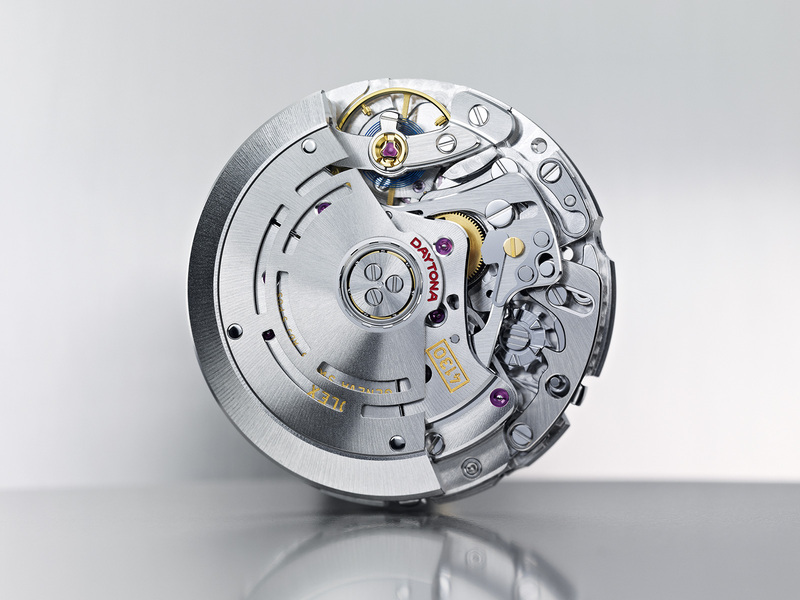 Inside is the calibre 4130, the in-house movement that has powered the Daytona since the year 2000. It’s an automatic calibre with the two features typical of modern high-end chronographs: column wheel and vertical clutch. And it’s also fitted with a Parachrom blue hairspring that’s resistant to magnetism. 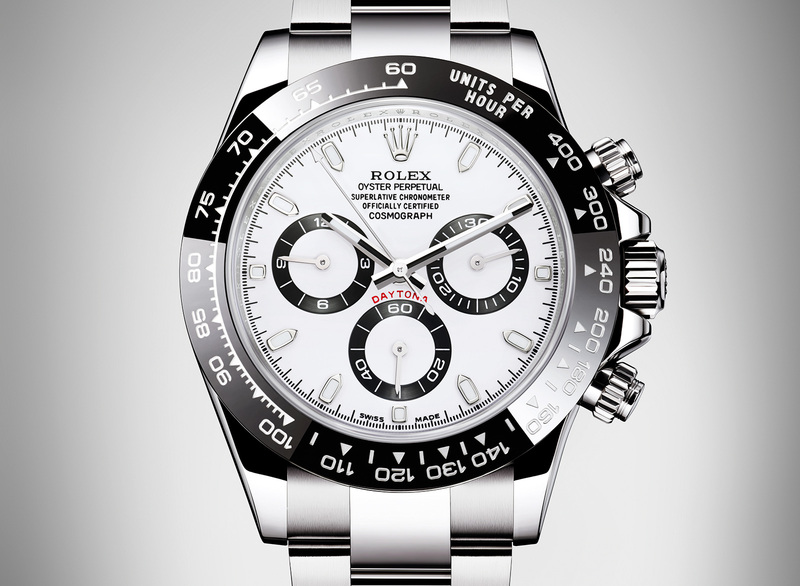 Like the existing steel Daytona, the new ceramic bezel version is available in white or black. The white dial model has a glossy lacquered finish with black chronograph sub-dials, while the black version has dark grey registers. 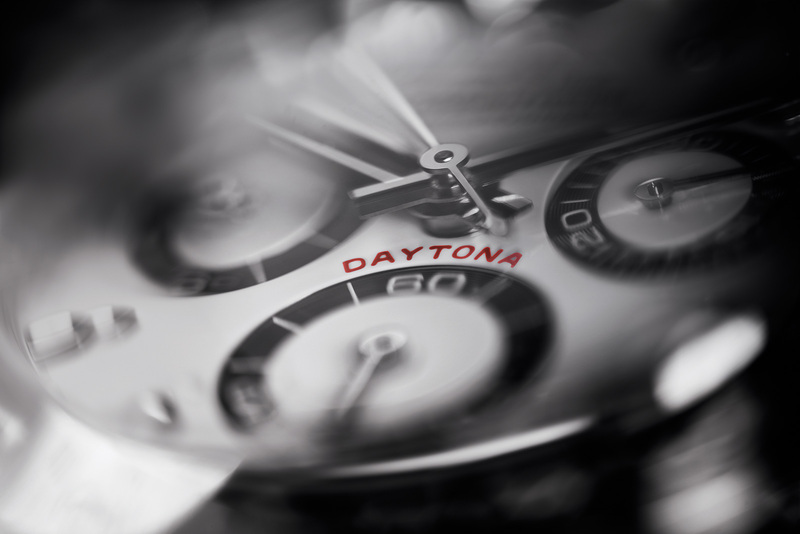 And to answer a question everyone will ask: the official line at Baselworld is that the new Daytona is an addition to the line, and does not replace the existing ref. 116520 which will continue in production, though how long that will continue is unanswered. 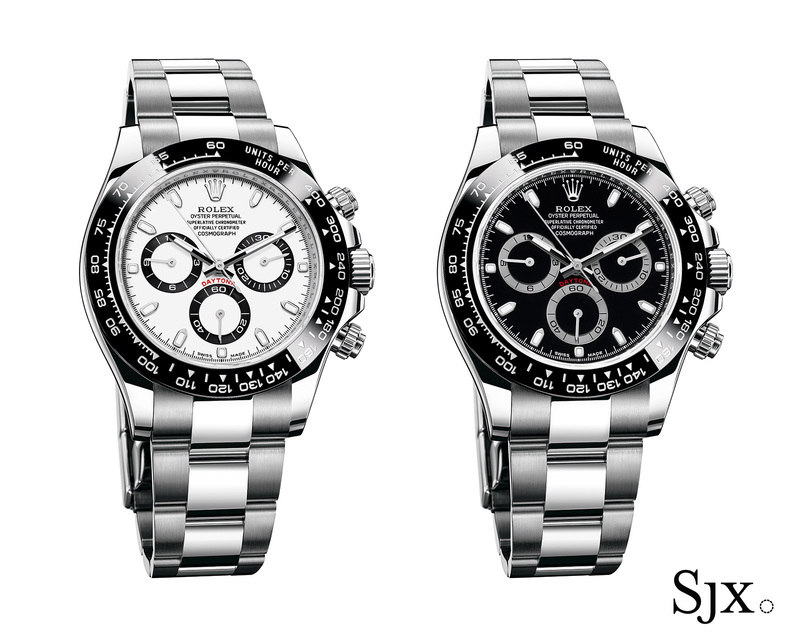 The new Daytona is priced at SFr11,800, marginally more than the all-steel model. Correction March 16, 2016: Amended retail price. Addition March 24, 2016: Added info on status of ref. 116520.